It remains a tough – and potentially huge – decision for a professional service business. It is the Central Repository (of) Money for a professional services firm. 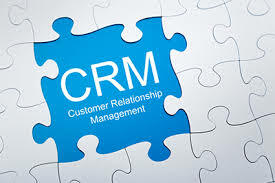 A great CRM is something which introduces business efficiencies in the way of workflow and task management, allowing leverage to be introduced into a firm as work is pushed down the cost line. It is a task manager which can help drive down the cost of delivering advice. It is a store of meaningful customer data and intelligence. Meaningful is an interesting word: in my view it is rarely meaningful for a CRM system to be top-heavy in unit price data for managed funds, or minutely detailed breakdowns of clients insurance premiums to the point where we can isolate $4.50 administration charges. Meaningful data is information that provides insight into customer needs and desires, their motivation and relationships, and their professional advice journey. It is the insight which is valuable, not technical details on particular products. The technical details on particular policies or portfolio components are a couple of clicks away online with virtually every provider – and will be current on the providers system. The insight into customers is where the value is in a CRM – it truly is a repository of money for a firm which uses a CRM system well. There is latent opportunity in every client base. There are unfulfilled needs…key relationships which form natural introductions and expansion of business opportunities….changing desires and motivations….there are triggers for further advice which can be identified and utilised. Any given client base is dynamic by definition: clients age, change jobs and relationships, suffer gains and losses of all sorts in their lives….and within that dynamism is opportunity for a professional to create and deliver value. A great CRM identifies opportunities, and that is worth a LOT of money to a service business. Perhaps more importantly for ageing advisers, a CRM which ca identify opportunities increases the capital value of a business. Any future owner of that firm will be very interested in the future opportunities as what they are looking for is future earnings. Certainly a part of the historic cash flow can be reasonably counted upon and that is valuable, but the greatest value lies in the unrealised opportunities. The Central Repository of Money will only be valuable if there are quality depositors. 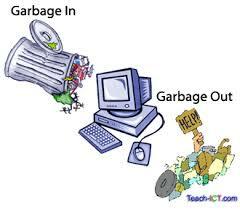 It will only be something which creates value if valuable information is put into it. Technical capacity, or features supporting the storage of technical data. You can tell I am not an expert huh? But I AM a user with some significant experience with a number of different systems…and the pain and pleasure of migrating from one system to another…. I agree with items 1-3. They are important without doubt and they create value by minimising cost of integration and training, or they create value by assisting with the creation of future opportunities. Item 4 is questionable to me, as outlined earlier. Naturally I need to be able to store essential technical information…but only essential. Unit pricing which updates every 15 minutes for instance would leave me entirely cold, as does having a number of product suppliers dumping dirty data into my clean and green CRM machine. Item 5 is where usually the developers are really excited, but I am losing interest. It is fringe stuff which rarely adds anything substantive to the value I am looking to obtain from this particular investment. integration with external communications systems. The branded email platform I choose to use matters. As does my selected social media networks – and then being able to extract basic data from those connections (i.e. the way Nimble does) to my CRM. communications dashboard. A step beyond integration,w e are now talking about the ability to use the CRM as the key driver for sending information out to a variety of digital mediums. mobility and security. Inevitability intertwined is the issue of being able to access data from a variety of devices via cloud-based solutions with total client data security. accessibility. Moving beyond the professional’s requirement to be able to access data, there is undoubtedly value in the client themselves being able to access some of data we store. Once these areas look deliverable I am able to be convinced that a CRM system is indeed something which can create significant value for my business as it is now looking like an e-version of the swiss army knife. Management reporting; sales and marketing functions; data collection & storage; communications hub; on a portable, mobile and secure platform. Use what you need as and when you need it…. …but overlay all of that with simplicity and “ease of use” and it is well worth investing in as it will create value. If you use it and put good information into it. Great piece Tony! CRM’s are must from small to large size businesses to track the project flow & task management process. Which premium CRM tool do you use or you would like to recommend to ease the work flow? I don’t “recommend” any particular one at present – there are a number of reasonable platforms which are industry specific – and they are reasonable. None of the off the shelf pre-packaged solutions check the ideal list it seems, so they are all compromises of cost and functionality to some extent. The most useful systems I’ve seen in recent times have been those where a flexible infrastructure (e.g. Salesforce) is used to develope an internal/bespoke CRM system. I totally agree with that Tony; we run a bespoke CRM (on Salesforce) that does exactly what we want it to – with a few frills on the side as well. Nice work. and that is a story I am hearing increasingly frequently from those I consider smart players….get a good framework, and then build a bespoke system from it.